One of the world’s leading spaghetti-style artists staging evocative in support of rural Australia at evocative art exhibition in Sydney. 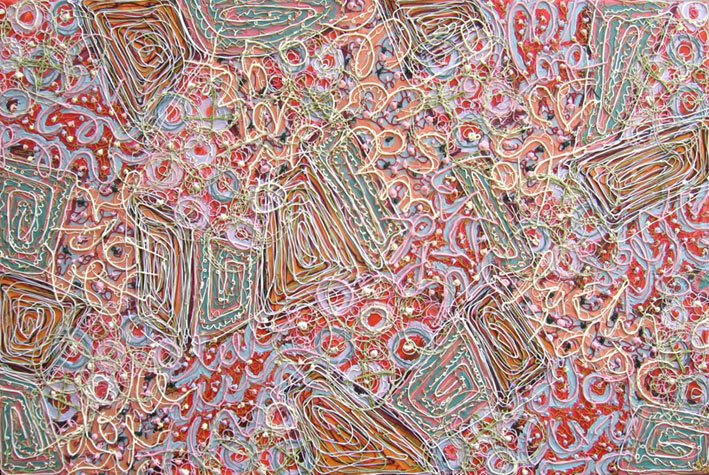 One of the world’s leading spaghetti-style artists, Sally West of Bluey’s Beach, will push her passionate environmental concerns through her paintings about the heart of Australia in a major solo art exhibition in Sydney next month. 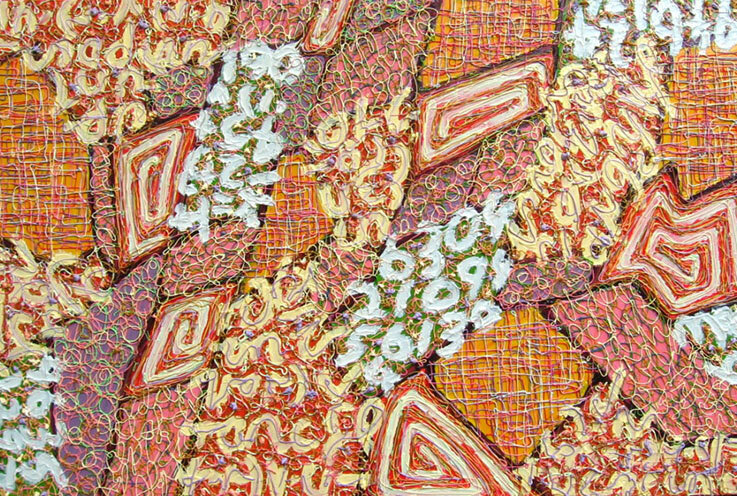 West, an award winning artist, will exhibit about 25 spaghetti-style paintings at the Global Gallery in Paddington from October 12 to 25. 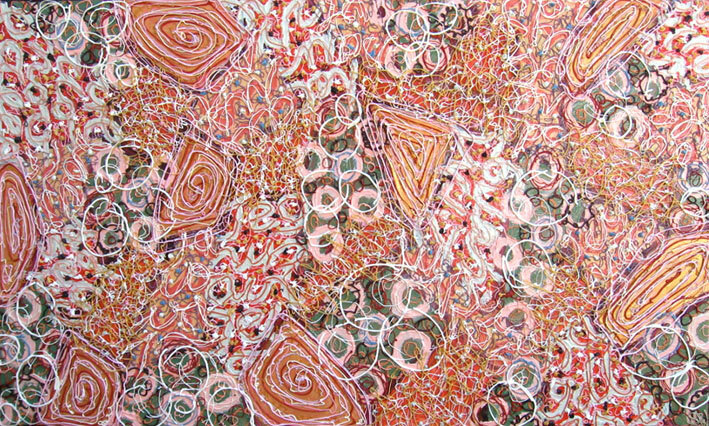 West’s exhibition will draw on her rugged outback farming background to provide works for the show. She said many of the paintings provide provenance of the Australian back country. 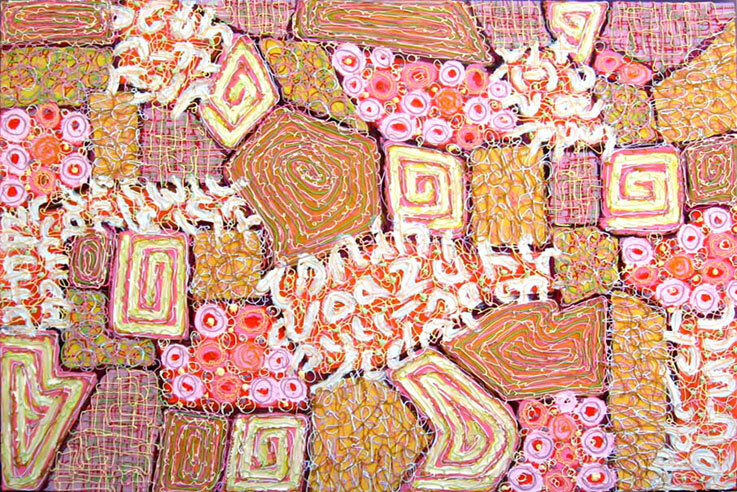 "The paintings inspired by the Aussie outback are a comment on the fragility of our land and our responsibility to nurture it and to speak for it. Many of us now live in cities and urban areas but we should never forget to treasure and protect out wonderful land mass,’’ West said. One of the paintings, Sunset, was a finalist in last year's Country Energy art awards. West’s paintings are seen all over the world and are currently showing in Italy, Germany, London, Hong Kong and New York as well as Melbourne. "My love for this country will never diminish and the impact that climate change has had on this lucky country is a concern to me and many people. Being a farmer's daughter, it is a major concern of mine the impact climate change is having on our farms. Drought has been raging for eight years now and the rural community is just not making money. They just aren't making enough food. They have always been the backbone of this country but they seem to be a dying breed. Generational farms are collapsing under the financial pressures and being taken over by large city based corporations who have no emotional attachment to the land. These big companies are stripping the land for all it's worth; creating big business enterprises and all they do is take from the land and are giving nothing back. Generational farmers have passed down knowledge and experience that is precious and irreplaceable. Big corporations may know how to make quick money but they have no idea how to nurture the land. So that has given me the inspiration for these works.’West paintings are in private collections all over the world and she has shown in international art events. She has raised over $50,000 for various charities through sales of her art at auction events which are close to her heart.